Can you believe we are just about finished with the first quarter of the year? We would be remiss if we didn't share our latest Easter decor projects this season. Let's dive in! Welcome the season of Easter egg hunts, chocolate bunnies, eggs and all things pastel with this Hello Spring sign. Dress up your space this holiday with cute styrofoam eggs fashioned into a chirpy Easter chick. These Easter wooden blocks would look great on a mantle, window sill or any area with tons of natural light. Add whimsical flair to your decor with these wooden bunnies wherever you gather this Easter. 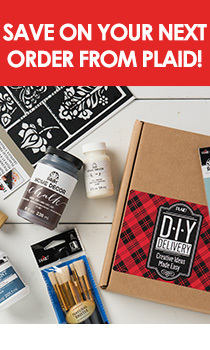 If you get crafty with these projects, share them with us using #PlaidCrafts on social.